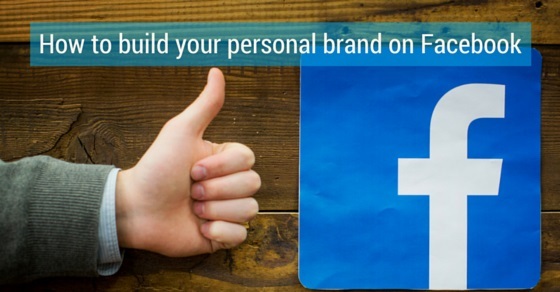 How to Build your Personal Brand on Facebook? Facebook needs no introduction. The social network has become a huge platform not only for the general public, but has also proved to be a key medium for business. Today, the popular brands use Facebook for marketing and promotion purpose. And so is the case with the smaller and personal brands. It is very simple and easy process to build your personal branding on Facebook if you follow some tactics. This will allow you to stay consistent in social media and help your brand get recognized. The following mentioned are few online personal branding tips on how to build a personal brand, social media branding and also personal branding strategy. Choose your goals and decide on a strategy to move forward. There are several ways to reach a goal but not all are the right choices. So you need to choose your plans wisely and carefully. First decide what you want to portray with your brand and set a target audience. Recognize your skills and capacity and then decide what you can do and how to do it. You might not be a pro in the branding business but your actions will help you learn that. The right strategies will help you bring the right shape to your brand. Avoid choosing a username which sounds complicated and difficult to remember. Choose something handy and simple so that users can easily remember it. Select a unique username and use it on all your social media profiles. This will help users to recognize you and can help you acquire the name. Be creative while choosing a username and you can use it in your business cards, email signature and websites. These are the smallest yet one of the most important details that you need to pay attention to. Your public profile and timeline cover photo should represent your brand. Choose an image which is unique and portrays the characteristic of your brand. You can exclusively design your timeline cover or hire a designer to do it. That will bring distinctiveness and help your followers recognize your brand. Detailed and complete profile information is the key to a successful brand. When a user will land to your brand profile, he will first give a look to your profile information. Your profile information explains about your brand and tells its roots. So keep it complete and specific so that users understand and know what your brand is all about. Control your privacy settings by choosing which contents you are going to make public. Whether it’s status, photos, comments or tags, you can manage everything from your privacy settings. Privacy settings also allow you to control tags. If you don’t want to be tagged in any image then you can easily disable the feature from there. There must be a motivating story behind starting your brand, so share it. Readers love to read stories which are motivating and encouraging because they need the same dose in their lives and want to learn from others. So share your experiences and what made you choose the business so that people get familiar to it and understand it better. This will bring them closer to your brand and they’ll end up following it. Expand your network by fetching contacts from the other platforms. You can select an email list and update them about your brand by offering them to go through your Facebook profile. You can also import contacts from your phonebook and instant messengers or any other channel and interact with new people. The Facebook Connect feature is a similar tool to integrate your friends and post updates to their wall. Be consistent about sharing status updates. If your post after long gaps then your followers will lose interest and forget that your brand exists. Keep sharing about your new and upcoming projects or any contest that you organize. Engage your followers with some interesting updates so that they are forced to join the conversation. Such statuses create a state of curiosity and your followers will hang around for more updates from your side. It’s better to pay attention to quality rather than to quantity. Consistent updates don’t mean that you should post meaningless contents to make people aware about your existence. Unnecessary contents often bore the readers and they will end up unfollowing you. So be sensitive about your updates and focus on quality content. Post something that interests the readers and captivate them. Display your skills and proficiency to let people know who you are and what are your capabilities. For example, if you are a web designer, you can display some of your successful projects and show what your client said about it. You can also put a link to your portfolio page to showcase more of your works. Linkedin is a great platform to put down your skills, so you can share your Linkedin page as your Facebook status. This will help you find new leads for your business. Start a specific group for your brand and add members to it. Group discussion often keeps your followers engaged and you can share more contents there. Groups can be set as public or private. You can target specific people from a particular industry to market your brand. You can also share your brand page to a specific list of groups or pages which is relevant to your business. This will grow your network and help you meet new contacts and potentials. Organize events in your area which are relevant to your brand. Get involved in a community to start the event. With this you can discover new potentials and meet new audiences who carry equal interest in your brand category and support you. Events can be announced with Facebook events where you can share the date, time and venue of the function. People who are already willing to join it can confirm their presence on the event page and you can share updates related to it. Any changes made can be known from the events page and visitors can plan accordingly. Promote your brand consistently but avoid boring your followers with the same updates over and over again. You can write the same thing in a different way to catch their attention. Promote constantly in groups and pages which are relevant to your brand, but do not spam. Write every time in an interesting way so that people understand your creativity and the difference that your brand makes. When it comes to spammers, Facebook is one of the major target places for spamming. You will often find some viral content in your timeline or unrecognized links in between comments and conversations. Those are posted by spammers. Spamming also indicates posting repeatedly the same thing with different urls. So make sure you don’t spam instead of promoting. Start interesting discussions within a group related to your brand. Post interesting topics so that users are forced to comment on it and join in a conversation. Discussions often help others learn what they do not know and share something that makes sense. It allows everyone to learn. So search for related topics and get engaged in the conversation. Get engaged not only in groups but also individually with people who are related to your field of work. Often greet your members during any occasion and also individually, that brings a sense of courtesy and impresses them. This will develop your professional relationship and you might get some good deals in the future. Engaging helps you find the latest updates from the market and help you learn. Start weekly or monthly contests for the public. This often brings out notable results and people will look up to you for more updates. Offer some impressive prizes to the winners and runners up so that they stay interested for more participation in the future contests. You can promote the contest in other social media sites too for more results. You will find more similar and personal brands using Facebook as their promotion and marketing tool. Follow them and take their ideas how they do it. Understand their strategies by studying them every day and utilize them in your own brand promotion. This will give you a chance to experiment and learn the right and wrong ways to promote a product. You will find them posting every update interestingly which are able to captivate the audiences’ attention. Thus, now you know that Facebook has the power to help you brand yourself and build a personal brand. Unlike the other ways, Facebook provides you a number of options that you can utilize as per your choice and it is a very flexible way to market your product unlike emails. You can learn from the major brands how they market their products on social media and take their tips. So if you are starting your own brand then start using Facebook today for more positive results. Next articleHow to Build your Personal Brand on Twitter?